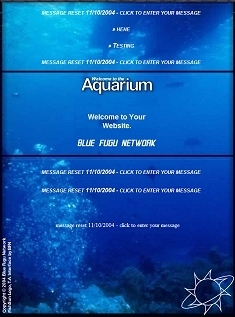 If you do not see the animated aquarium at the top, please click here. Upgrade your website today with Blue Puff Network Development. Our services are designed to give your website attention! We specialize in professional website design, integrated online databases, and full e-commerce solutions. The possibilities are endless. Blue Puff Network is operated by Benjamin Lindelof to provide custom solutions for a variety of industries that require online systems. Our databases are suited for Online Content Management, E-Commerce and Job Databanks, to name a few. We custom tailor online packages to suit your needs. We ensure your data is protected. Your website will become more useful and easier to maintain. We rely on a strong third-party network. Our BFN 24-Hour Technical Support and Customer Service is provided at no extra charge. Click here to contact us today and receive FREE technical consultation. Ask about our End of the Year $500 discount on all services for applications started before January 15th, 2005. To learn more about our products and services, click "Our Services" above. 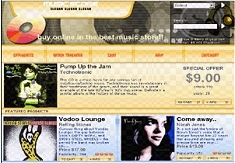 Click the "Web Store" link to compare our online packages and select the best fit. Thank you for visiting Blue Puff Network! Click here for the latest news. A brief summary of our professional website services. All of our packages include Commercial Website Design, in addition to Free Website Hosting for 6 Months, and Free Technical Support and Maintenance for 1 Year. After we collaborate and develop and finally deploy your Commercial Website, the Website Copyright is transferred to your company. You own the Website Source Code at no extra charge, allowing you full control over your investment! Plus your website is easy to maintain so it will always be fresh for repeat visitors. We provide custom graphics design. Blue Puff Network now features the graphical talent of Dark Project Studios for custom Flash, websites and interfaces. Database Websites allow you to control your website instead of the website controlling you! An Online Content Management system gives you one form page to edit all of your articles. You can search and view a list of your articles. Online Content Management can shows you the last time you updated your website. Your website will have 5-10 template pages instead of thousands of individual HTML files. Your website can be maintained and updated from anywhere! Password-secured administration pages are standard for Online Content Management websites. Any type of computerized system that tracks your customer will require a Customer Database. Simply enter your new customers in a secure browser form. aA computerized method of maintaining your business contacts allows access to customer or client information on the road! If you are conducting transactions and you want a customized solution to fit your paperwork, built around your workflow, Blue Puff Network is your answer. Small to medium sized businesses, even national and international companies can work with the same Order Tracking and Customer Database. Roaming Sales Agents can enter live order information and see the product delivered the next day! If you want to organize the positions you need filled, a Blue Puff Network Database Website can be created for you. Simply submit your application form and we will convert it to an Online Application. Many of these services are familiar because they all rely on database technology to make it happen. For instance, Blue Puff Network can create for your company a private, collaborative Online Calendar, similar to other online calendar websites. The difference is your Online Calendar is private. Starting an online business is a big proposition! To make it more affordable and less complicated, we can setup your First E-Commerce Website. Complete with Shopping Cart, Wish Lists, Customer Profiles and Order Tracking, this special package can get you started. Blue Puff Network relies on Comersus Open Source Shopping Cart for free customized E-Commerce websites. Beginning E-Commerce with Blue Puff Network means we do all the work for you. Once your website is online, we are available 24-hours a day to help facilitate your new business! Special features for all database websites include: Microsoft Office Word and Excel document generation, Report Generation, Multi-User and Multi-Location Specific user data, online forms and data grids and real-time updates. Are you ready to take the plunge? If you are looking to accept Credit Card transactions online, the Encrypted Storefront E-Commerce Website from Blue Puff Network is ready to go! We'll help you work with your financial institution to help you qualify for an Internet Merchant Account. Also, a complete online catalog is part of Blue Puff Network's Encrypted E-Commerce packages. We will scan and enter your data, post product photographs and enter current prices to get you started. All of your online transactions are secured with 128-bit Secured Socket Layer technology. Blue Puff Network Encrypted E-Commerce Websites and the Comersus Power Pack give you full control over your online business, today, tomorrow and for years to come. The following screenshots can help illustrate the possibilities available with Blue Puff Network Development. If you customize this website, you can allow only certain users to edit the content. 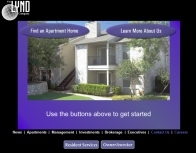 Source code is available for this website. Click here to see a detailed sample. Lots of free Blue Puff components you don't get with Comersus alone, like dynamically generated graphs and reports, plus the latest Comersus Power Pack included at no extra charge. Optimized by Blue Puff Network and customized to suit your industry specialty and product specialty. Click here to e-mail Benjamin Lindelof at Blue Puff Network. The Aquarium Flash Animation by Benjamin Lindelof. at the top, please click here.